The young dashing star is in a relationship. He is dating Hailey Baldwin. The couple started dating from October 2017. Some time ago there were rumors going that he has a close relationship with the young graceful actress Camila Cabello. Due to their close relationship, there were assumptions that their relationship is more than just a friendship. 1 Who is Shawn Mendes? Shawn Mendes is a Canadian singer and a songwriter who has sung the hits like Stitches(2015) and Treat You Better(2016). When he began posting song covers on the video-sharing application Vine, he was attracted to huge followers in 2013. The same year, he grabbed the attention of artist managers Andrew Gertler and Island Records A&R Ziggy Chareton. He cracked the deal and this led the chance for him to record label. His two album named “Handwritten” which is also his debut album and “Illuminate” was debuted on US Billboard. Shawn Mendes was born on August 8, 1998, in Toronto, Canada. His nationality is American and ethnicity is Portuguese-English ethnicity. His birth name is Shawn Peter Raul Mendes. He was born to Karen(mother), a real estate agent, and Manuel Mendes(father), a businessman, selling bar and restaurant supplies. He has a sister named Aaliyah, who is younger than her. Mendes was raised in Pickering, Ontario. Shawn did his schooling in the Pine Ridge Secondary School. In the year 2012, at the age of 13, he learned guitar from the YouTube guitar tutorials. In less than in a year, he started posting a cover video in the popular video app named Vine from which he got the huge fan following on the social sites. In the year 2014, he became the third-most followed musician in the app Vine. In the year 2014, he officially signed to Island Records and released his first single Life of the Party on June 26, 2014. He also became the first youngest musician to debut in the top 25 US Billboard Hot 100. Mendes got the chance to become the member of Magcon Tour along with the other young Viners with the huge fan followers. Mendes released his full-length album named “Handwritten” which was debuted in the number one position the US Billboard 200. Mendes recorded a song called “Believe” for Disney Channel Original Movie “Descendants”. He also made his first appearance on a Forbes list with their annual “30 Under 30”, for 2016. 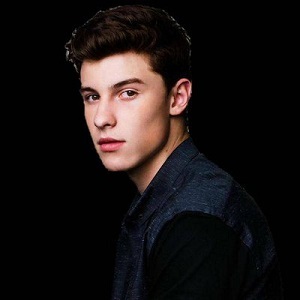 Mendes have received several awards and nominations, including an iHeartRadio Music Award, two MTV Europe Music Awards, three Much Music Video Awards, and the Allan Slaight Honor from Canada’s Walk of Fame. In 2015, Mendes was the recipient of the Breakout Award at the SOCAN Awards in Toronto. He has a net worth of $3 million but his salary is not revealed yet. Shawn Mendes had been circulated in the rumor regarding his sexuality. He has been slammed in comments of some YouTube videos that he’s giving gay vibes. Mendes shut the rumors down by his statement “First of all, I’m not gay,” Shawn said. “Second of all, it shouldn’t make a difference if I was or if I wasn’t. The focus should be on the music and not my sexuality.” He clarified that he is not a gay through this statement. Shawn has the height of 6 feet 2 inches. His body weighs 83kg. He has dark brown hair and dark brown eyes. Shawn Mendes is currently active on Facebook, Instagram, and Twitter. He has a 39.2 million followers on Instagram, more than 7.4 million followers on Facebook and 20.6 million followers on Twitter. Besides these, he is also active on the YouTube with more than 16 million subscribers. To know about the childhood, family, net worth, education, rumors, awards, the profession of singer and songwriter Alexandra Edenborough, Luther Vandross, Lyrica Anderson, Evan Dando, and Peter Andre. Is Shawn Mendes in a relationship? Is he dating Andrea Russett? What is the latest update in Shawn Mendes’ career? Know about his tweet on his bad ‘lazy eye’ and its medical details!